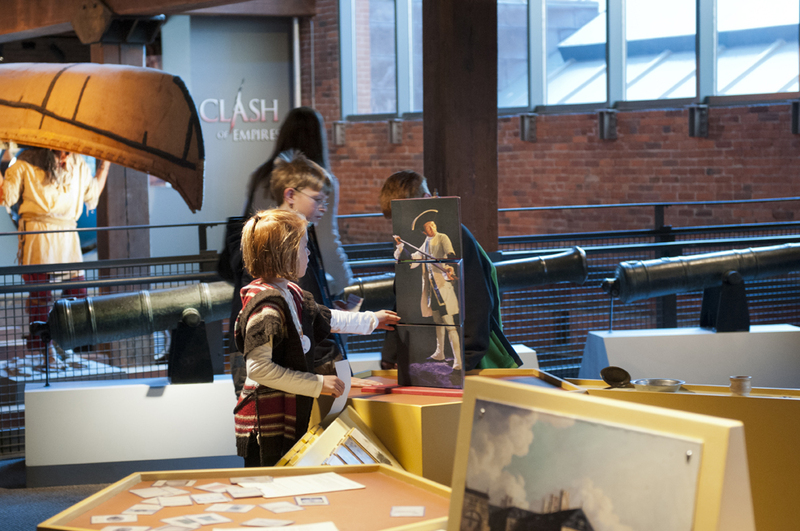 Clash of Empires: The British, French & Indian War, 1754-1763 presents the dramatic, wide-ranging story of the French & Indian War and its impact as a turning point in American history. 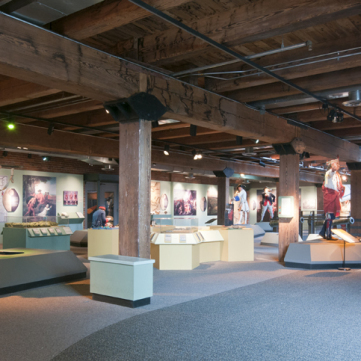 The exhibit commemorates the 250th anniversary of this global conflict. 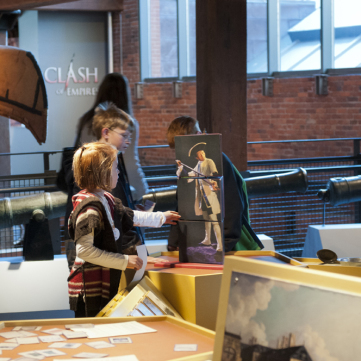 Featuring rare artifacts gathered from museums and private collections around the world, Clash of Empires examines the origins, development, and aftermath of the war. 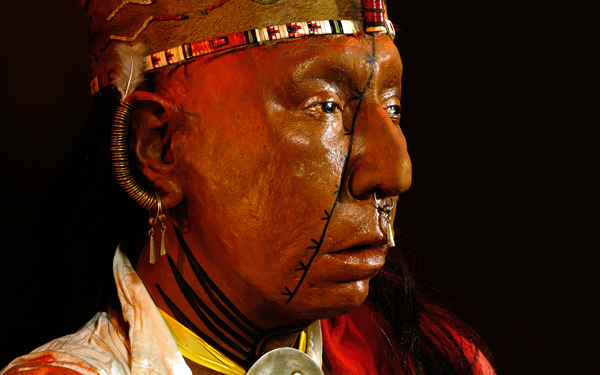 It also provides a unique perspective on the conflict from each of the participants—the British, French, and Native Americans. 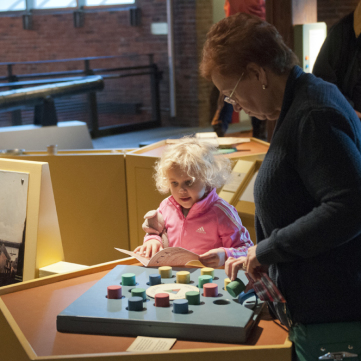 After a successful run at the History Center, the exhibit traveled to the Canadian War Museum/Museum of Civilization in Ottawa and the Smithsonian in Washington, D.C. before returning to Pittsburgh, at home now on the History Center’s fifth floor. 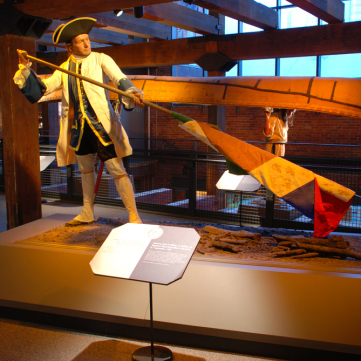 In 1753 George Washington noted in his diary, “I spent some Time in viewing the Rivers, and the Land in the Fork; which I think extremely well situated for a Fort, as it has the absolute Command of both Rivers.” He was talking about Pittsburgh’s Point, of course. 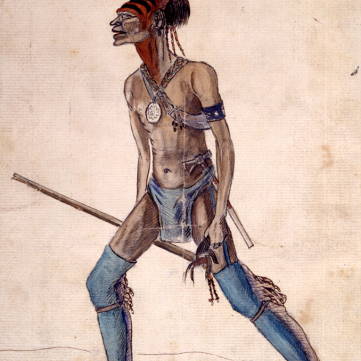 For his part in the French & Indian War, George Washington received nearly 3,000 acres of land in Western Pennsylvania. 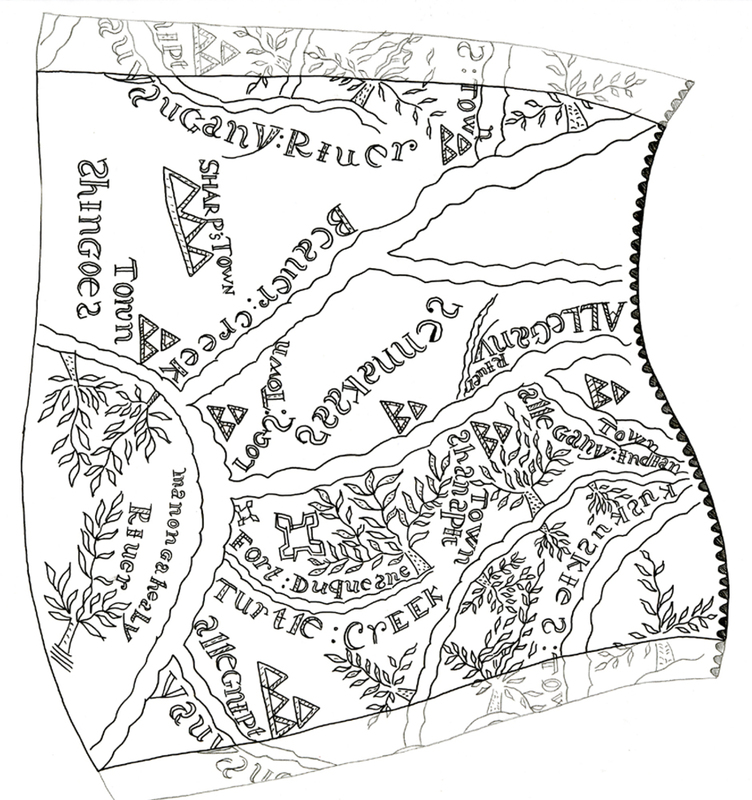 Listen to Seneca leader Tanaghrisson’s council speech in 3 languages. 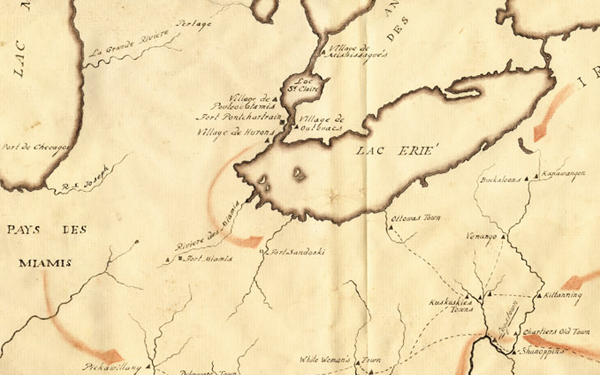 The History Center commissioned artist Fred Threlfall to create a series of maps with the look and feel of period maps and depicting the areas important to the French & Indian War and the Clash of the Empires. 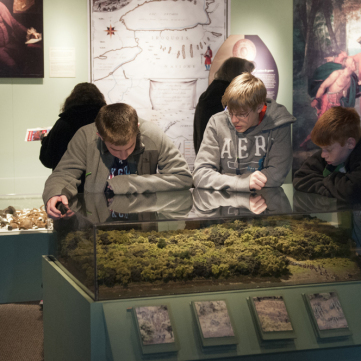 All five maps are currently on display in the exhibit. 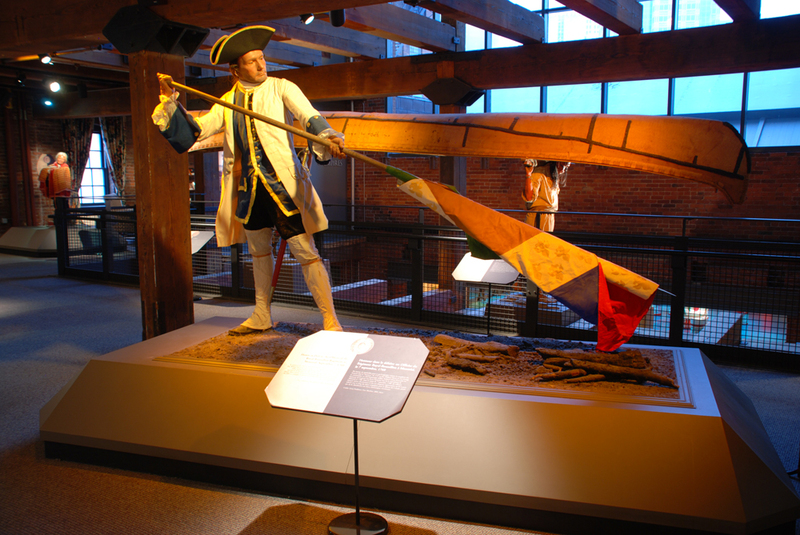 Commissioned for the exhibit by renowned British artist Gerry Embleton, these figures represent the war’s most fascinating characters, including an angry French officer burning his own flag; a distraught young George Washington agonizing over the decision to sign the Treaty of Fort Necessity; and Seneca leader Tanaghrisson. 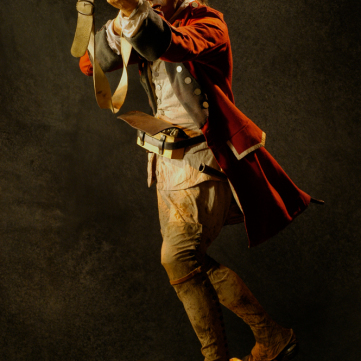 French Officer: Upon the capitulation of Montreal in 1760, French officers burned regimental flags rather than surrender them to the victorious British. 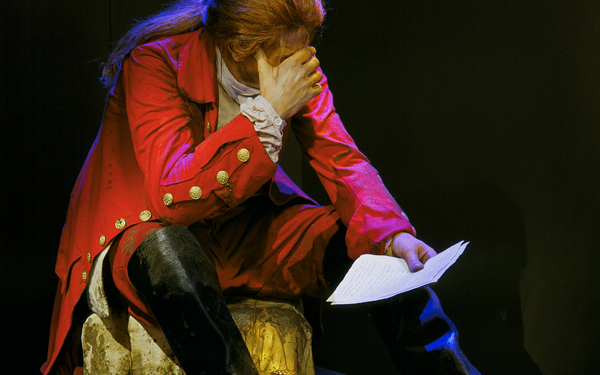 George Washington: After his defeat at Great Meadows in 1754, George Washington signed a surrender document written in French, unwittingly accepting responsibility for the murder of the French envoy Jumonville. 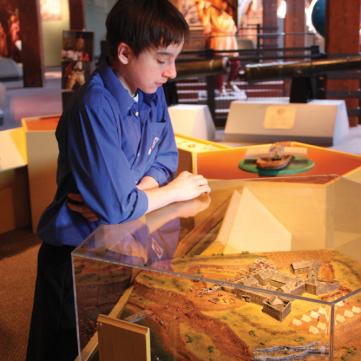 Clash of Empires is located on the History Center’s fifth floor. 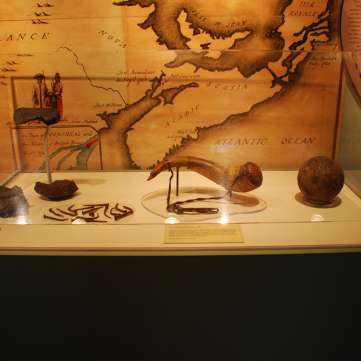 Display case featuring a powder horn and other artifacts. 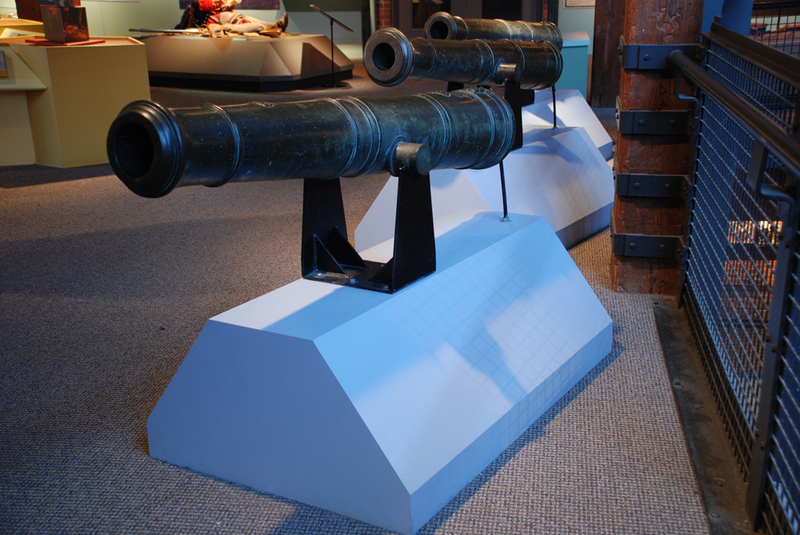 Step out of the elevators on the fifth floor and see French & Indian War cannons. 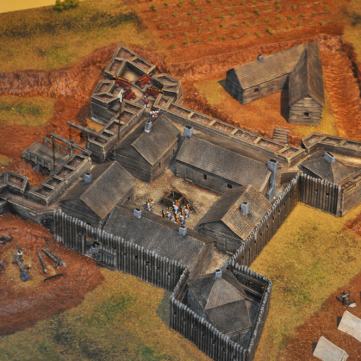 A diorama shows Fort Duquesne at the outbreak of the French & Indian War. 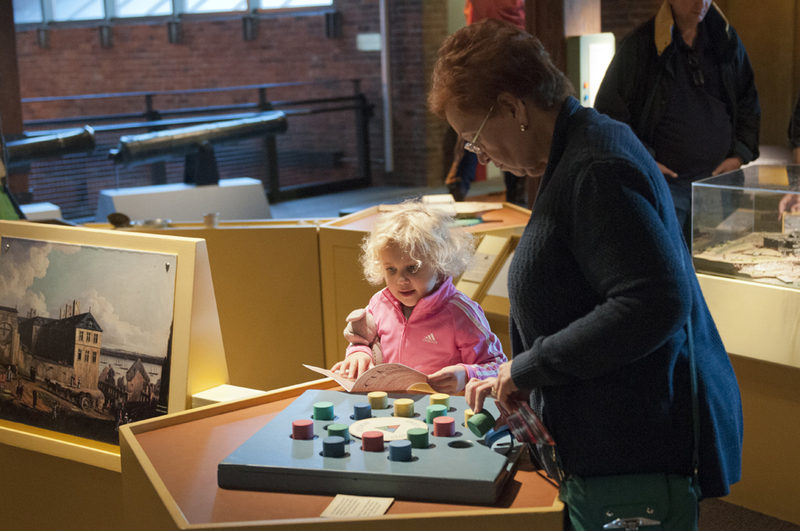 Visitors of all ages will enjoy learning about the three-sided struggle for control of the Forks of the Ohio. 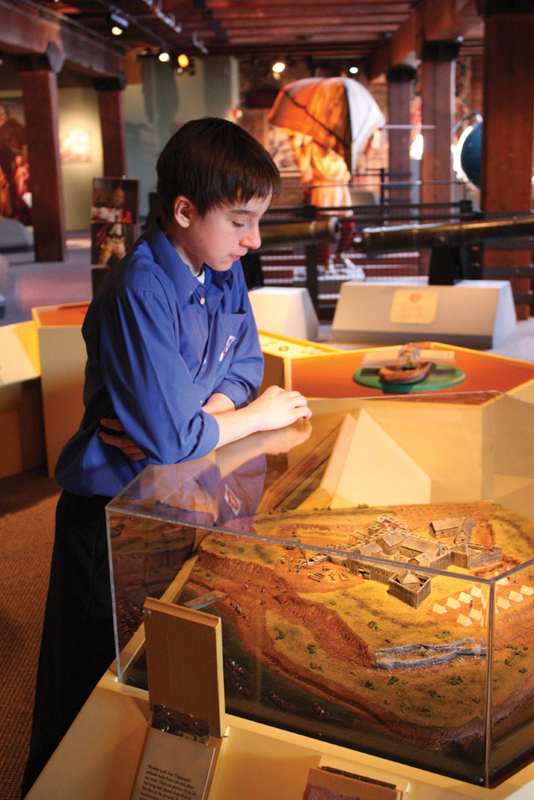 A variety of interactive activities help teach kids inside Clash of Empires. 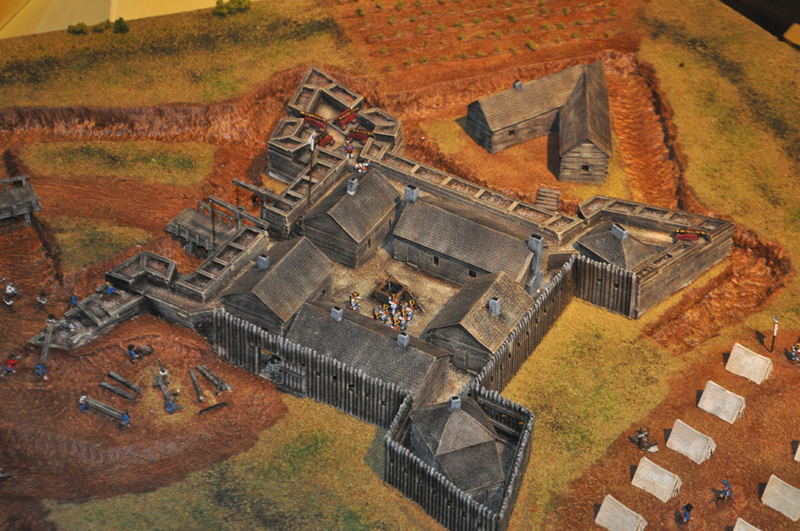 A model of Ft. Duquesne in the interactive area of Clash of the Empires. 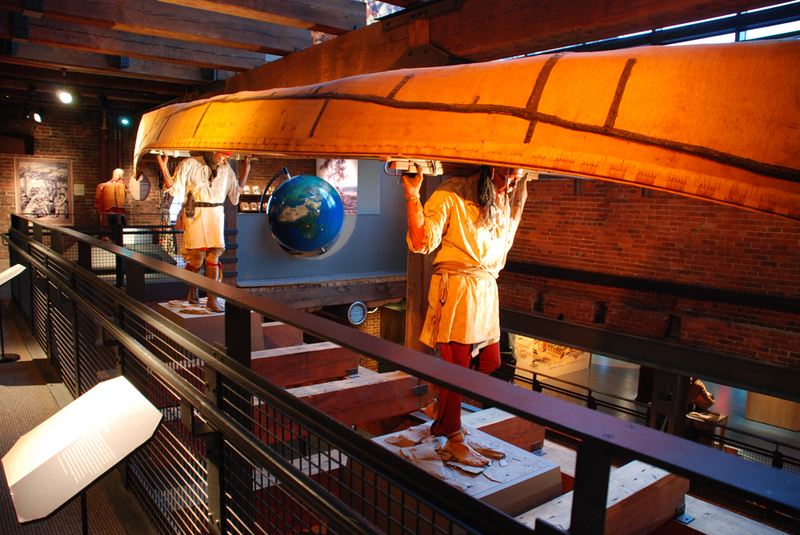 Two life-like figures are shown portaging a handmade birchbark canoe. 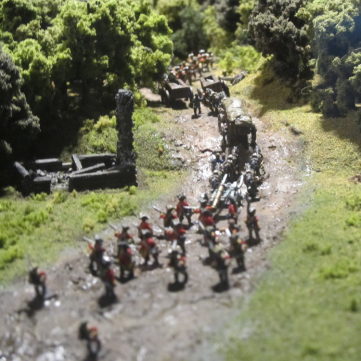 Another diorama shows General Braddock’s troops marching through the Western Pennsylvania countryside. 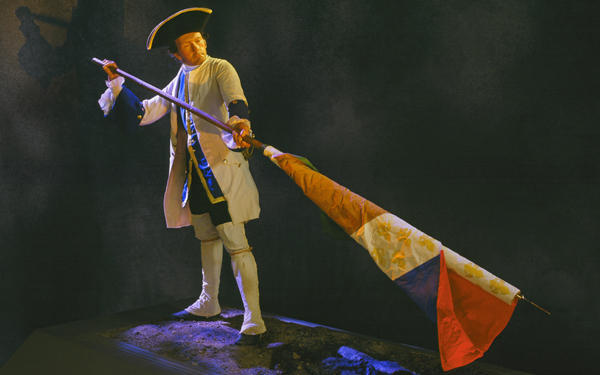 A life-like figure shows a French officer burning his flag. 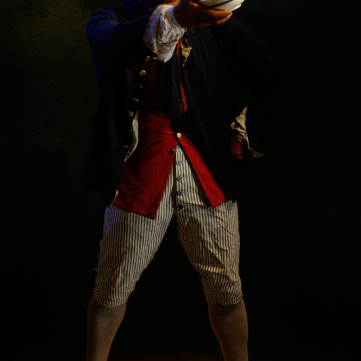 A British sailor toasts the Triumph of Britannia, 1762. 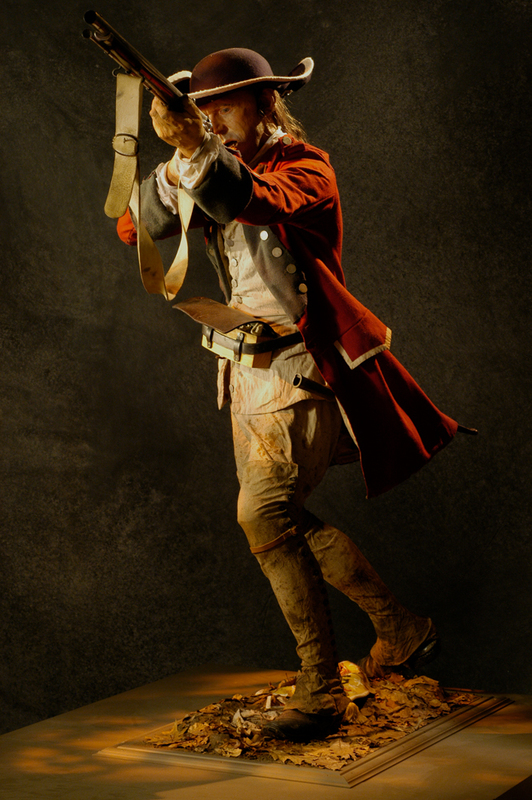 Life-like model of Martin Lucorney, a Hungarian red coat at General Braddock's defeat, 1755. 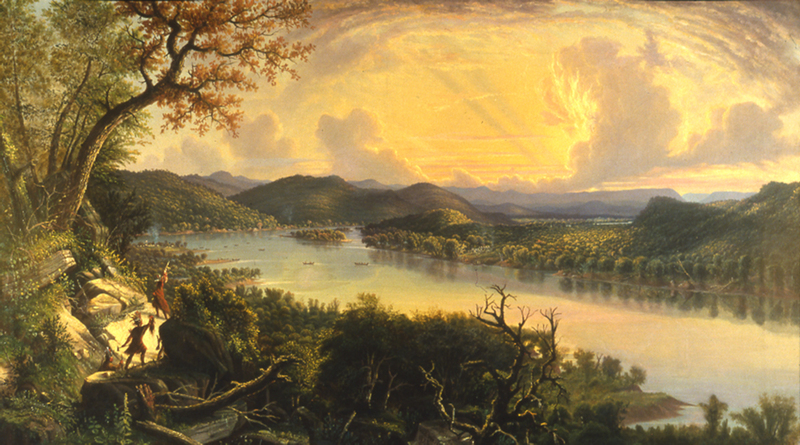 This romanticized view depicts French-allied Indians returning to Fort Duquesne after the defeat of General Braddock. 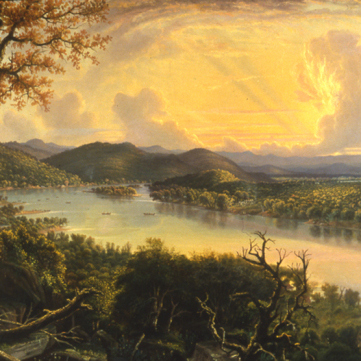 This romanticized view depicts French-allied Indians returning to Fort Duquesne with the spoils of victory after the defeat of General Braddock and his troops at the Battle of the Monongahela. 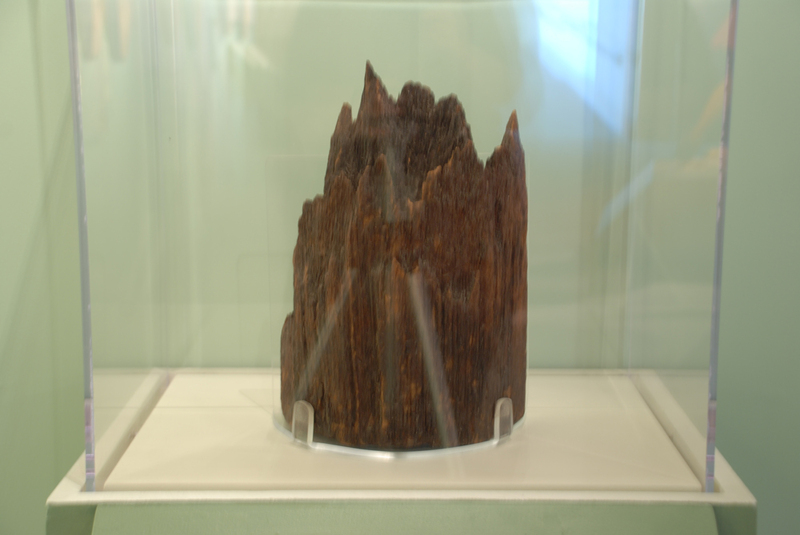 Gift of John A. Harper. 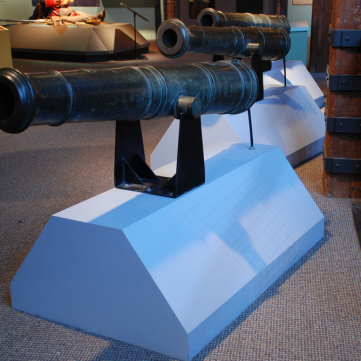 Patriots captured this cannon, which dates to the French and Indian War, from the British Army at the Battle of Saratoga in 1777. 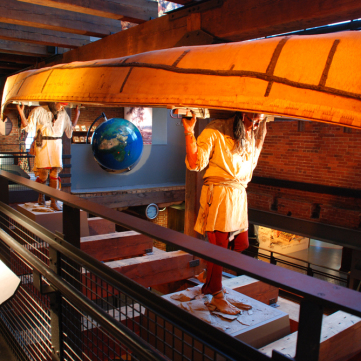 Courtesy of Carnegie Museum of National History. 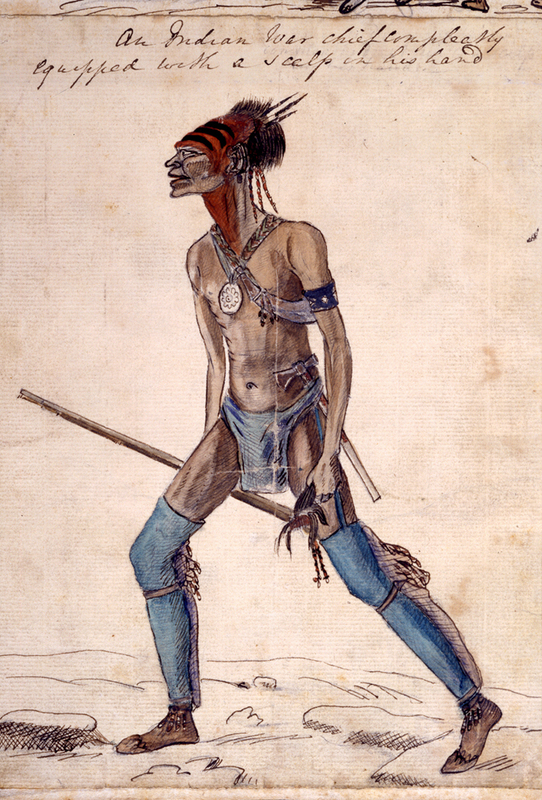 This sketch details the light dress and equipment favored by Native American warriors on a military campaign. 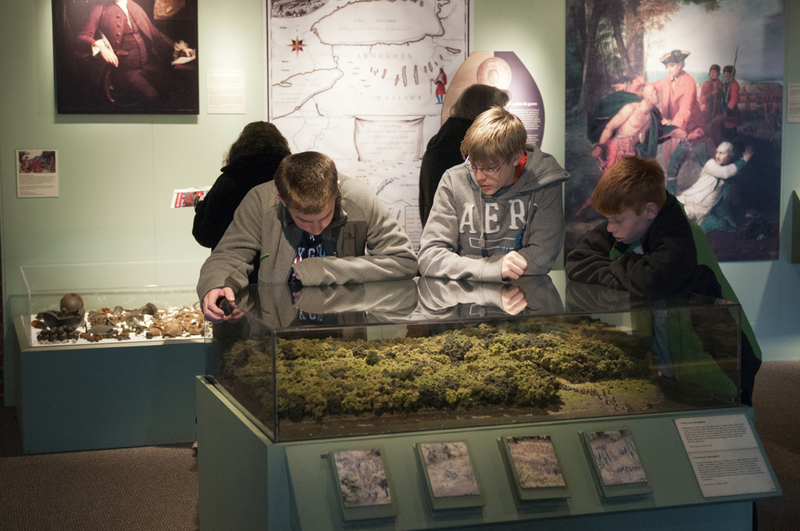 Courtesy of National Portrait Gallery, London. 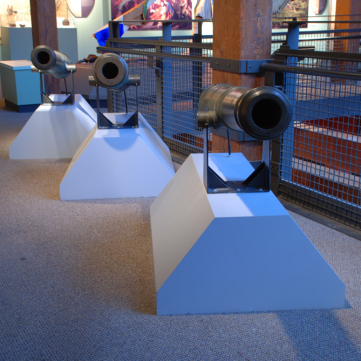 Cow horns—dry, watertight, and fireproof—are perfect for storing gunpowder. 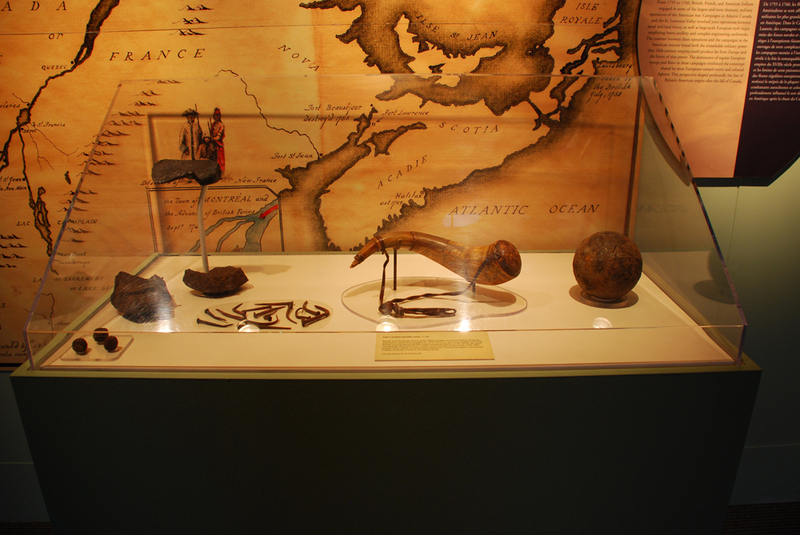 Cow horns—dry, watertight, and fireproof—are perfect for storing gunpowder. 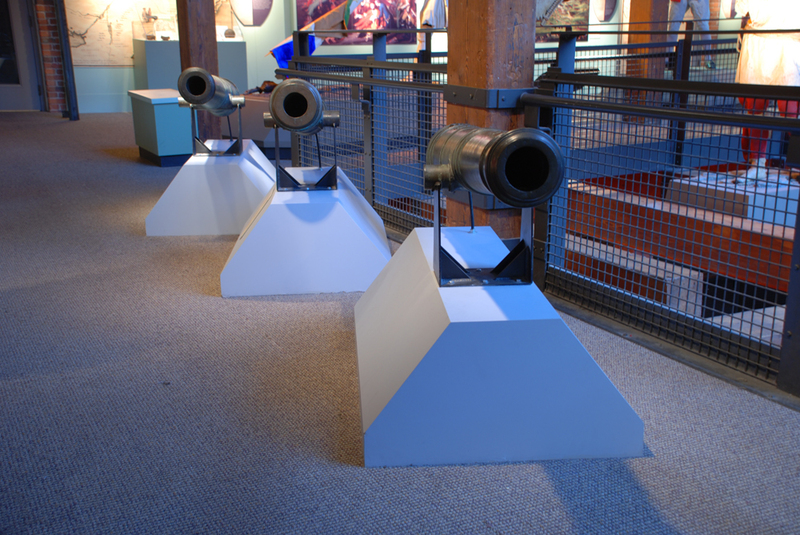 Easily engraved, they often reflect the military career of the owner. 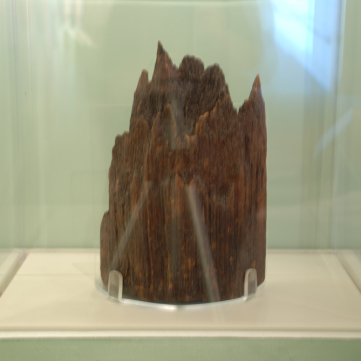 This excavated log fragment is from the original stockades at Fort Necessity. Courtesy of Ft. Necessity National Battlefield, National Park Service. 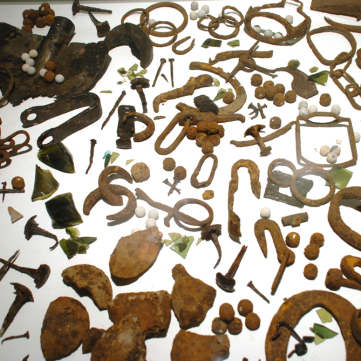 These archeological remnants were found at the Dunbar Camp site. 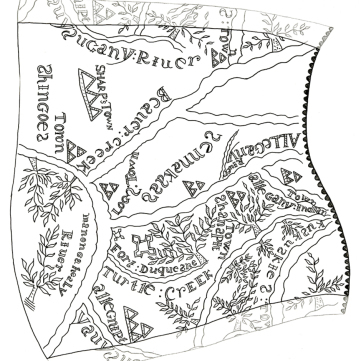 Survivors of the Battle of the Monongahela fled back to Dunbar’s Camp. 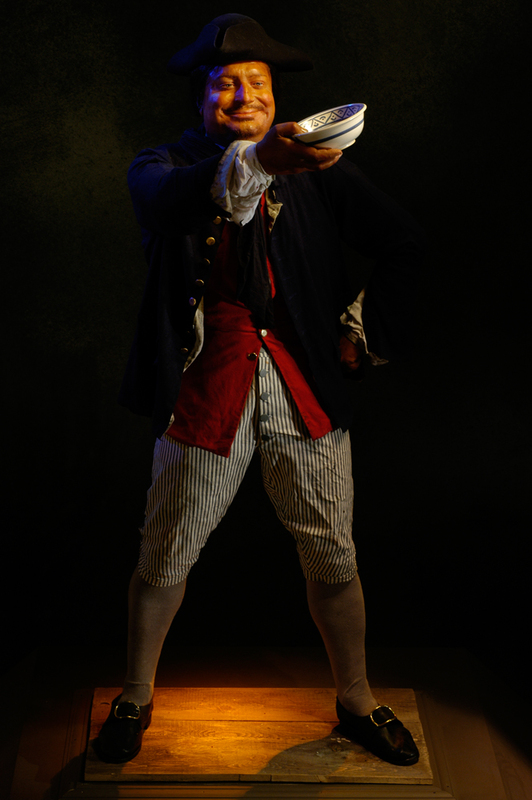 Before he died of his wounds, General Braddock ordered Dunbar to destroy the remaining supplies and retreat. 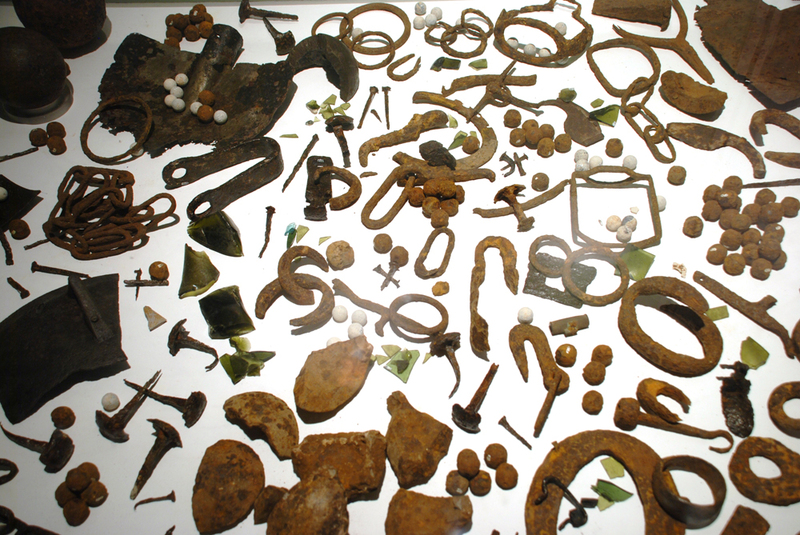 These archeological remnants were found at the site. 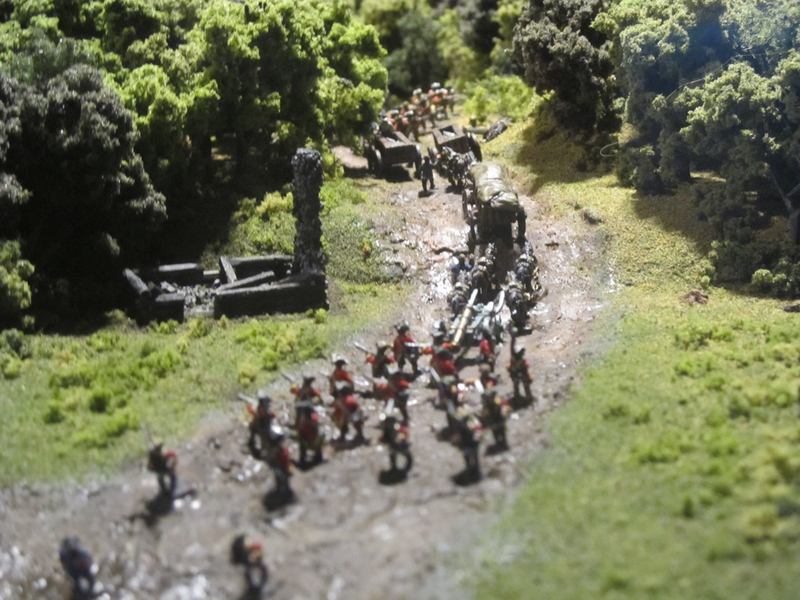 A diorama depicting General Braddock's defeat at the Battle of the Monongahela, 1755.